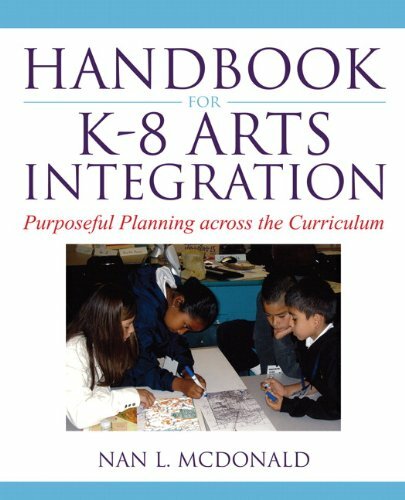 Book study groups and professional learning communties, save 15% when you order 10 copies of Handbook for K-8 Arts Integration, a $490 value for $413. Contact your representative for details. If you are a pre-service or a practicing teacher this is one book you will want in your library. This concise and practical, yet research-based, handbook will show you how to create and use standards-based art activities to teach across the content areas. Written in an engaging and practical format complete with classroom vignettes and examples you will learn see what arts integration looks like in practice. Utlizing a constructive and reflective process (purposeful planning) this handbook empowers teachers to plan, teach, and evaluate thier own art-infused lessons linked to what their students will need to know within other content area instruction.